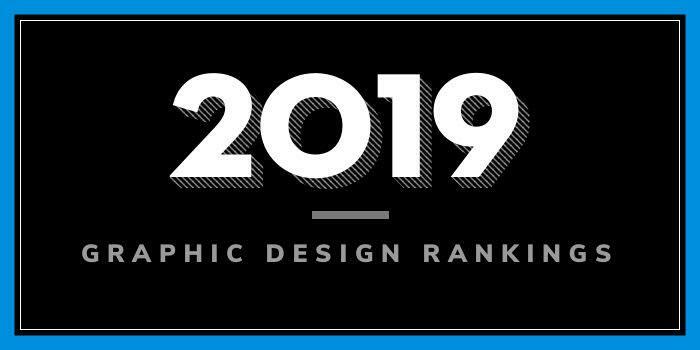 Our 2019 rankings of the top 10 graphic design school programs in Tennessee. For an explanation of the ranking criteria, click here. Middle Tennessee State University (MTSU) opened on September 11, 1911 as Middle Tennessee State Normal School with a two-year program for training teachers. Today, the school offers more than 200 programs at all degree levels to nearly 26,500 students. Programs are offered through nine University Colleges. Programs for aspiring graphic designers are offered through the College of Liberal Arts, Department of Art and Design and the College of Media and Entertainment, School of Journalism and Strategic Media. The Department of Art and Design offers a BFA in Art with a Concentration in Graphic Design. The School of Journalism and Strategic Media offers a BS in Journalism with a Concentration in Visual Communication. In the BFA program, students learn to use art and technology to convey ideas. Sample courses for the program include Book Arts, Color Drawing, Digital Illustration, Graphic Design Technologies, In-House Design, Interactive Design Interface Design, Package Design, Printmaking, and Word and Image. Students in the program will have the opportunity to complete an internship and Art Study Abroad, as well as a portfolio and the Senior Project. For the Project, which follows a portfolio review, each class member will devise a project that conceptually and visually addresses his or her design/illustration goals. This is a six-hour studio course. Course highlights include Digital Storytelling for Journalism, History of Visual Communication Design, Information Web Design, Special Topics in Professional Issues, Visual Communication Applications, and Visual Storytelling for Journalism. Like students in the BFA program, BS students will have the opportunity to complete an internship and study abroad. Students will leave the program with a professional portfolio. Founded in 1890, Belmont University attracts more than 8,300 students who represent every state and more than 36 countries. The school offers more than 90 areas of undergraduate study, 19 master's programs and five doctoral degrees through 11 colleges and dozens of departments. The College of Visual and Performing Arts houses the Department of Art, which offers a BFA in Design Communications. University of Tennessee Chattanooga (UTC) was founded in 1886. The school serves nearly 11,600 students enrolled in dozens of degree programs through six colleges and schools. The College of Arts and Sciences, Department of Arts offers one program for aspiring graphic designers—a BFA in Studio with a Concentration in Graphic Design. Per the school, the four-year program “engages contemporary theory and practice” in students’ chosen media. By their senior year, “students concentrate almost exclusively on studio coursework within the area of concentration, with an emphasis on individual expression, open exploration, and experimentation.” Sample courses for the program include Typography, Interactive Media, Processes and Materials for Graphic Design, Professional Practices in Graphic Design, Survey of Time-Based Art, Space and Sequence, Expanded Drawing, Visual Literacy for Graphic Design and Graphic Design Workshop. Students will also complete a Visual Arts Internship that will prepare them to compete for positions at ad agencies, marketing firms, production studios, technology companies, and many others. Founded in 1891 as the Nashville Bible School, Lipscomb University serves nearly 4,700 students from 49 states (including Washington, D.C., and Puerto Rico) and 50 nations. The school offers more than 100 programs through 14 colleges and schools. The George Shinn College of Entertainment & The Arts houses the Department of Visual Arts, which offers a BA or BFA in Graphic Design. A Graphic Design Minor is also available. Per the school, the “curriculum was created to include framing areas” such as typography, vector illustration, web design, explorations of word/image relationships, visual language, and theoretical principles such as semiotics and Gestalt theory. An emphasis is also placed on “analog exercises to develop hand, eye and mind.” Course highlights for the program include Advanced Typography, Color Theory, Design Firm, Designing from the Grid, Digital Photography, Foundations in Graphic Design, Packaging Design, Printmaking, and Trademarks and Identity Systems. Students in both programs will complete Capstone: Portfolio Development and Portfolio Review, and an optional internship. Study abroad opportunities are also available in places such as Italy, Austria, Costa Rica, England or other countries. University of Tennessee – Martin (UT Martin) traces its roots back to the founding of Hall-Moody Institute in 1900 and the establishment in 1927 of UT Junior College. Today the school offers more than 100 academic areas of study within 18 undergraduate degree programs and five graduate degrees with 17 specialized concentrations to more than 7,000 students from 45 states and 22 countries. Programs are offered through dozens of colleges and departments. The College of Humanities and Fine Arts houses five departments: Communications; English and Modern Foreign Languages; History and Philosophy; Music; and Visual and Theatre Arts. The Visual and Theater Arts Department offers a BFA with a Studio Option in Graphic Design and an 18 credit hour Minor in Graphic Design. Sample courses for the BFA program include Advertising Design, Digital Illustration, Digital Photography, Drawing, Graphic Design I & II, Interactive Multimedia, Professional Practices in Design, Special Topics in Graphic Design, Three-Dimensional Design, Two-Dimensional Design, Typography and Page Layout, and Using Color. An internship is also part of the program. Graduates of the BFA in Graphic Design will be prepared to seek positions in fields such as Advertising, Marketing, Public Relations, Publishing, Web Design, and more. Watkins College of Art (formerly Watkins College of Art, Design & Film) was founded in 1885. The school serves more than 300 students enrolled in BFA degrees in Film, Fine Art, Graphic Design, Illustration, Interior Design, and Photography, a BA in Art, and MFA degrees in Film and in Visual Arts. In the BFA in Graphic Design Program, students will develop their “capacity to create fun and arresting visual pieces that help people, businesses, and missions thrive,” says the school. Sample courses for the 120 credit hour BFA in Graphic Design include Digital Design, Web & Interactive, Advanced Typography, Promotion & Packaging, Advanced Web Development, Experimental Typography, Brand Development, and Digital Design & Illustration. Founded in 1871, Christian Brothers University (CBU) serves nearly 2,000 students enrolled in dozens of degree programs and concentrations through six colleges and schools. The Rosa Deal School of the Arts houses the Department of Visual and Performing Arts (VAPA), which offers a BFA in Visual Art with a Concentration in Graphic Design. The BFA Core consists of Art History (9 hours), Conceptual Development (3 hours), Digital Design (6 hours), Studio Arts (15 hours), and Area of Concentration (21 hours). All BFA majors have the opportunity to take advantage of CBU's "high-quality" internships. The internship program allows students to “experience areas of the art profession appropriate to their concentration and related interests.” Partnerships have included FedEx, ALSAC / St. Jude Children’s Research Hospital, Gallery Fifty-Six, Crosstown Arts, Memphis Brooks Museum, Independent Bank, RVC Outdoors, BRIDGES USA, and many others. Nossi College of Art began as a fine art school in 1973. The school, which serves around 300 students, offers undergraduate, graduate and certificate programs in Digital Photography, Graphic Design Media, Illustration, Instructional Design and Technologies, Photography, Video & Film, and Web & Interactive Design. The Graphic Design Media Program builds advertising, marketing and leadership skills to prepare students for “higher-paid positions in the industry,” says the school. Students build upon their “graphic design framework with advanced instruction in brand strategy and art direction, 3D modeling, 3D technologies, advanced motion graphics, advertising art direction and much more.” Students will learn “print, interactive design, coding, advertising and branding” and “master basic design principles,” as well as advertising theories and strategies. Nossi College often partners with local businesses, non-profits and events, so design students will have the opportunity to work one-on-one with real clients to build their portfolios. This 133 credit hour program, which leads to a Bachelor of Graphic Arts (BGA), may be completed in 44 months. University of Memphis (UofM) was founded in 1912 as West Tennessee State Normal School. The school serves around 21,521 students enrolled in 17 bachelor's degree programs in more than 250 areas of study, master's degrees in 54 subjects, doctoral degrees in 26 disciplines, Education Specialist degrees in two areas, a Juris Doctor (law degree), and Graduate Certificate programs in 44 areas of study through 13 colleges and schools. The MFA offers teaching assistantships and the BFA provides internship opportunities.